If talk of the upcoming Pirates of the Caribbean: On Stranger Tides leaves you feeling seasick, then you lily-livered buckos should avert your eyes. Producer Jerry Bruckheimer has announced that the screenplay for the fifth and sixth installments of the series are already in progress. 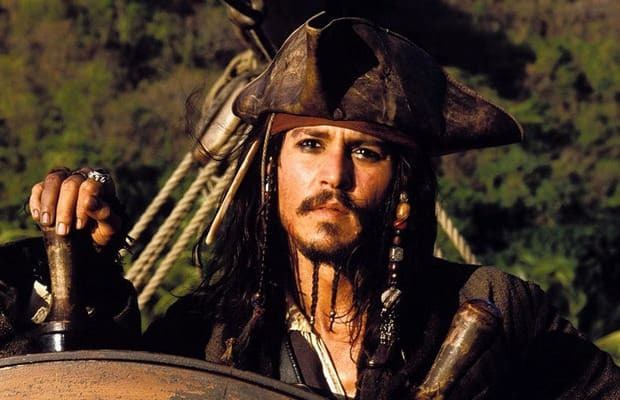 Little is known about the scripts at this point, but the Bruckheimer told USA Today that On Stranger Tides and the as-yet-untitled films will act as stand-alone tales following Johnny Depp&apos;s Captain Jack Sparrow through various adventures. [T]he audience told us what they loved about it is that it was fresh, it was new, it was a whole new story… So that will carry over into the next one, too, to give it something fresh and different. As long as the audience embraces this one, we’ll certainly try to make another one. It’s really up to Johnny. He loves the character. Even if you don&apos;t think the latest fable is as worthy of praise as its predecessors, millions of people flock to watch Depp ham it up, and Disney knows this, so you shouldn&apos;t be surprised. Meanwhile, the fourth film, co-starring Ian McShane (Blackbeard), Penélope Cruz (Angelica), and newly enlisted Green Lantern matey Geoffrey Rush (Barbosa), sails into theaters on May 20, 2011.